We’re going to go a little off topic this week and discuss an important health-related scourge…the dreaded sinus infection. And honestly, I feel pretty justified doing that because sinus infections make for very miserable, unproductive days (and nights for that matter). Personally, I have genetically challenged sinuses that are prone to clog up without warning. And if I don’t take immediate action then you can rest assured that trouble will quickly ensue. And trust me, there’s nothing more aggravating than waking up at 5 AM feeling like your alarm-clock is working your head over with a phone book. It’s sort of like having an ice-cream headache but without the sweetness and absolutely none of the fun. You’re pretty sure that somewhere in the middle of the night someone filled your head with something with a consistency between wet cement and silly putty. And even though you slept all night it feels like you might have moonlighted in the Roman salt mines instead. 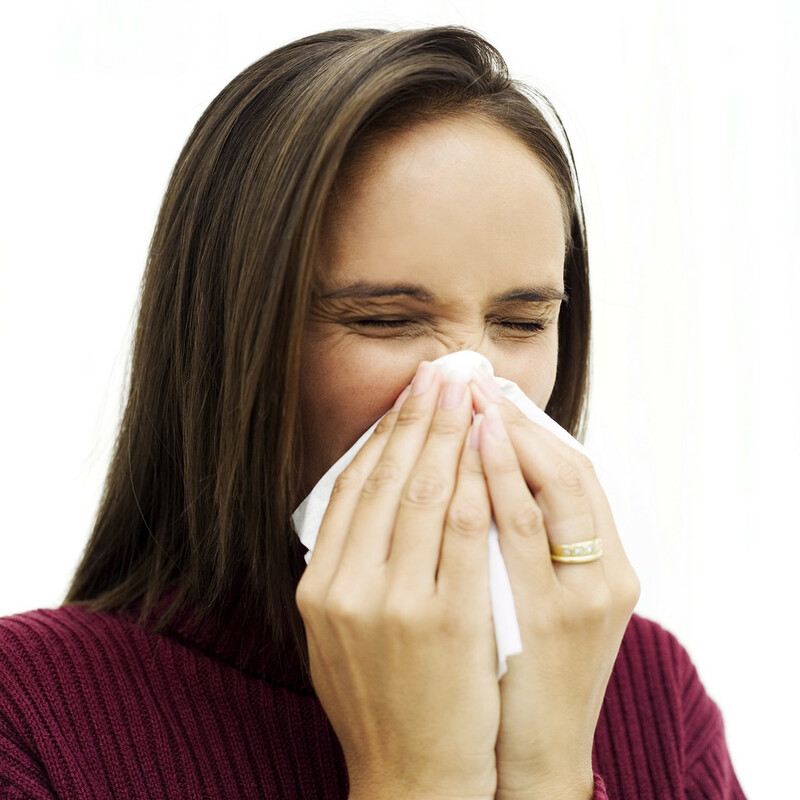 Most people treat sinus infections wrong or they assume that they have a cold or the flu. They do the best they can to treat it with whatever they can. But too often they choose methods that actually prevent them from getting better and draw out their misery for weeks. Today, I’m going to change the way most of you look at your nostrils and even your whole respiratory system. From henceforth, you’ll know what to look for and how to identify potential sinus problems before they occur, and what’s more, you’ll know how preempt them before they take hold. The first thing that you need to know is that your body was designed to maintain vigorous health. But wait! If that’s true why are so many people today on medications like antacids, allergy medicine, blood pressure pills, etc. It seems that common sense should tell us that something is terribly wrong. Well, like the old saying goes “common sense just ain’t too common”. Most people just accept pill-popping as a way of life. They assume (or are told by advertisers) that these pills are the best way of solving their health problems. Again, common sense should warrant that we question the incentives of these advertisers. Do drug-companies or even pharmacies really care if we get better? After all, when we take their pills (which are formulated to relieve symptoms rather than strike at the root cause of our illness) the symptoms get better. But they know that when we stop taking them then those symptoms will return and pretty soon we’ll be in the check-out line buying more pills. Yeah, they have an incentive all right…an incentive to sell their product. Now wait, in a few weeks we have an entire feature article on maintaining overall health and we can listen to me beat the ‘old gray’ pharmaceutical ‘mare’ from my soapbox then. However, today we must talk about one of the major principles that will be included in that article simply because it is fundamental to our understanding of good health including the treatment and prevention of sinus infections. That principle is basically this: The human body was created to be a very strong and adaptable biological machine and it is equipped with everything needed to survive most everything that can be thrown at it over the course of seventy or more years. Therefore, our basic approach for our discussion today is this: It is better to strengthen and augment the body’s God-given natural systems than it is to try to circumvent or try to suppress them. Again, that seems to be so common sense that it’s anti-climactic. However, I challenge you to go study the top ten OTC and prescription medications and see what philosophy that they use. In almost all cases they work against or unnaturally alter your body’s systems. Like we said though, common sense ain’t so common at all. Why do we HAVE sinuses anyway? How do they work? Just yesterday one of my employees came into my office and asked me about getting rid of a “cold”. I asked him his symptoms, when it started, what he was taking etc. What he told me is a very common and familiar story. About a month ago, when the weather and temperature started changing he developed the sniffles. This runny nose annoyed him because he works outside and with his hands and couldn’t stop to blow his nose often. So he went and bought some over-the-counter anti-histamine (Sudafed) and that fixed him up for several days. But then he started waking up to a stuffy head and tired as if he had not rested. This of course told him that he “must have a cold coming on”. For several successive days the stuff coming out of his head went from clear to milky-white to yellow and finally to green. By the time it reached this point he had a lot of sinus pressure and pain and was in general misery, especially in the early mornings. Of course, by the time he came to talk to me he was in so much pain that he wanted to go to the doctor for antibiotics but didn’t have the money. He knew that I knew “some of those old-time herb remedies” and wondered if I could help him. Your sinuses are for all purposes a temperature regulator—a glorified heat pump. It helps buffer the temperature of air that you breathe in with the body’s internal temperature. Guess when the time of year with the biggest difference between these two temperatures is. That’s right—November through April! So during this period our sinuses go through constant temperature extremes as we walk into and out of the warm indoors to the cold outdoors and then back in again. To protect themselves from these extremes the sinuses naturally armor coat themselves with a layer of warm and sticky mucus. Yeah, it sounds nasty but trust me—mucus is the multi-purpose lubricant for a lot of the body’s systems. A good comparison would be to consider mucus as doing for your body what oil does for your car engine. Both lubricate, circulate and coat and protect the body/engine’s most vital parts to keep them in operation. As a primary rule with both oil and mucus—you must (a) have enough (b) keep them clean. If either one of these criteria are not met then very serious problems will ensue because something is going to break down! However, unlike motor oil, mucus is self-changing and can keep itself clean as long as it has the raw materials to do so. This is how it works: When you breathe in you’re also take in lots of dust and particles including viruses and bacteria. Mucus is super-sticky so those things stick to it in the nose/sinus cavity rather than being carried deeper into the body—sort of like flypaper. The body then naturally pushes mucus from the nose and expels the invaders. Everything works fine with the ‘runny nose system” because your body can produce pints of replacement mucus in no time flat to keep things fresh and clean. As long as we keep our nose clean by coughing/blowing and up our water intake (mucus is 95% water and the rest is easily accessible lipids and proteins) then all inspired infectants will eventually filter out. BUT if we stop or slow this process where the sinus mucus can’t replenish itself then it allows those infectants to build up in our sinus cavities which will result in a painful sinus infection! As long as you can keep the body replenishing its mucus coating then the body will always clear out any invaders. Period. Here’s where our Character-Quest lesson of the day comes in. Most of us when we’re suffering seek symptom relief rather than doing some reflection and seeking out what the root cause of our sickness is. We’ve been conditioned by the media and through peer pressure that being sick is a “normal” part of life. Instead of doing common sense things like getting extra rest and having the self-discipline to change our diet a little during the winter months to prevent sinus problems they tell us that we can still do whatever is right in our own eyes and that there is a pill available to keep us from paying the penalty. It’s a lie that is doing a lot more harm than good to all of society. There are fifty kinds of “cold medicine” on store shelves—they wouldn’t be there if they didn’t work, right? WRONG! They wouldn’t be there if they didn’t sell! Drug companies know this so they are constantly spending untold billions of dollars to make sure that their ads are everywhere that you look. They want it to seem like the cold and flu are common place. They’re not. In fact, most of the “colds” and “flu” that your families and co-workers have are secondary infections caused from the body not being able to replenish mucus as we have described above! Anti-histamines drastically slow down our mucus replenishment throughout our respiratory systems. This does provide temporary symptom relief. However, that relief is short lived because the system quickly “gums up” and causes infectants to get stuck throughout our respiratory system. Pretty soon our heads and chest are filled with yellow and green goo. By the way, clear mucus is good. It means your body is efficiently keeping itself cleaned out. Mucus turns white when the mucus is filled with white blood cells. White mucus is a tell-tell sign that our body is fighting (and winning) a war on a microscopic level. Extra care should be taken to help your body at this stage. We’ll have some helpful tips for you before the end of this article. But when you see the mucus turn yellow (or much worse) green then you have badly infected sinuses and your immune system is losing the battle. There is no easy/pretty way out at that point. The key to sinus infections is preventing them or at the least giving the body the weaponry that it needs to win the battle at the critical stage. Once you understand that your nose has to run a little in the winter in order to keep germs washed out then entire business of sinus infections becomes common sense again. By seeking symptom relief most of us inadvertently gum up this vitally important system. The key to preventing and fixing it has to do with strengthening and augmenting our body’s mucus production. That’s easy. Apply some of that not-so-common common-sense! When cold weather or drastically shifting temperatures are in the forecast just up your pure water intake (64 oz is a good bar to aim for) and eat lots of hot, light-colored, healthy soups. Do this at the first sign of “the sniffles” or if you have a lot of drainage regardless of temperature or time of year. 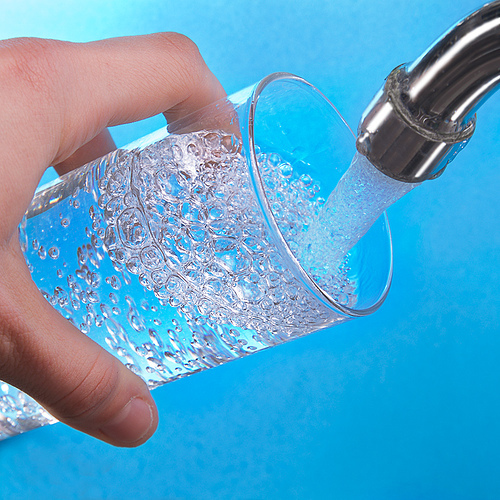 Upping your water intake is the most effective course of action you can ever take when facing sinus problem or the cold or flu because the body uses it to flush out out the invaders. Raw garlic is another great alternative though it may come with a smelly price. A couple of cloves over the course of a day creates an unfriendly environment for most germs (and any other vampires that might be sapping your energy) plus it has a boatload of helpful medicinal chemicals. Oriental mushrooms like shiitake or reshi are also terrific immune system builders. They also contain a wealth of smart-bomb chemicals that work by giving your immune system extra leverage. I often make what I have come to call “Healing Hands Soup” when I sense my body’s functions becoming taxed. This has organic chicken broth / chicken, onions, garlic, mushrooms, shredded cabbage, celery, graded ginger and black pepper with a dash of apple-cider vinegar and orange juice. (Some crushed tomatoes and noodles are optional) It is a big hit with the family. Even my kids will ask for it if they start feeling bad. A tea made of the spice thyme is very effective at loosening congestion in the sinuses or chest. (Italian Seasoning which has thyme and oregano works well too! Think of it as spaghetti without the tomatoes.) 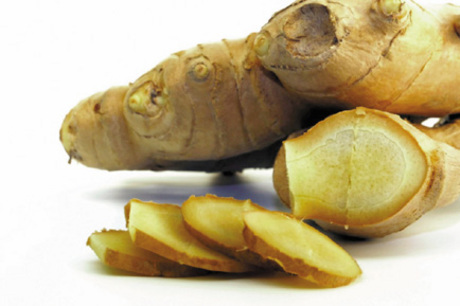 If your nose is stuffy in the morning try a warm cup of this to get your nose running again. In addition to dietary things REST and (more importantly) RELAXATION are critical. The number one reason most of us get sick is because we are over-taxing our immune systems and in most cases the primary tax-collector is stress. When we feel a sickness or tiredness coming on then we should make a point to relax very deeply. This means more than just stay home from work…it means turn the TV off and take a hot bath, give yourself a massage and practice active relaxation. Make it where the only thing your body has to do is fight off offending invaders and you’ll go a long way towards shortening the duration of your suffering. 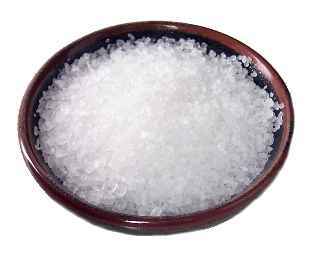 A final recommendation is to use a sea-salt solution to kill any stuck bacteria. This method is good if the sinuses start to reach that yellow mucous phase. I use sea-salt, pure water and a little of the original Listerine and run it deep in my nostrils with a Q-tip. Once there’s plenty in there I sniff it up in my sinus cavities. I have yet to see a sinus infection that couldn’t be beat within a day or two of doing this 2-3 or more times a day. A little more extreme but vastly effective is a neti-pot, which will help saturate your sinuses with the saline solution. Will Rogers said “Always drink upstream from the herd”. I hope that this short article has helped you to drink from a little cleaner section of the stream than the misguided masses. The important lesson we’ve emphasized today is to simply assist the body at doing what it is already designed to do then we can quickly and effectively overcome sickness. By learning to listen and work with our body we get to know ourselves much better and overall become healthier and more balanced. 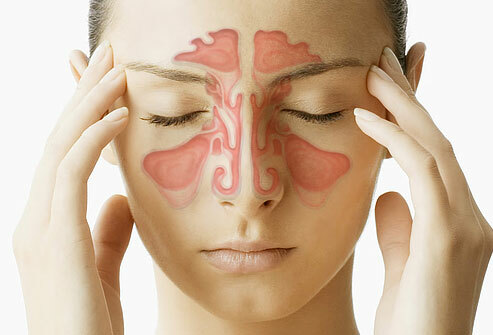 Our sinuses and mucus system in particular are vital for keeping our body clean. I personally think that there is a higher lesson to be learned in that. We are healthiest and thus cleanest when we give continual attention to helping these systems work. Maybe the body is giving us a pattern about how to deal with mental, emotional and spiritual issues as well. Just maybe—if we learn to listen and observe the way our system was designed then we might find an encoded message from its Designer that reveals a method for accomplishing much, much more. This entry was posted in Uncategorized and tagged health, herbs, natural medicine, personal, personal development, self-improvement, sinus pain. Bookmark the permalink. Thanks for the information and the fresh alternative thought, Mike.